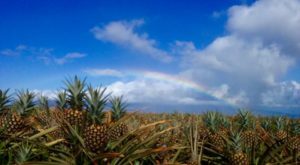 When one thinks about the Hawaiian Islands, there are a few things that undoubtedly come to mind: gorgeous white sand beaches, crystalline turquoise waters, lush jungles, and some of the world’s most magnificent waterfalls. 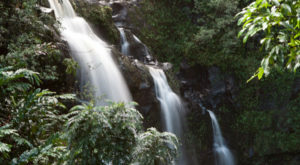 While many of these waterfalls are visible from the road, or accessible via hiking, others are more difficult to reach and are only visible from above. 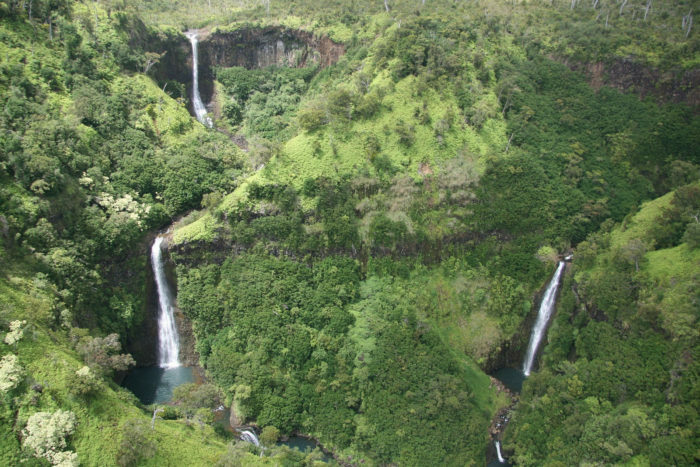 That’s the case with this stunning series of little-known waterfalls found upstream from the famous Manawaiopuna Falls, made famous for its appearance in the 1993 classic film, Jurassic Park. So, what are you waiting for? Chasing waterfalls is one of our favorite activities! 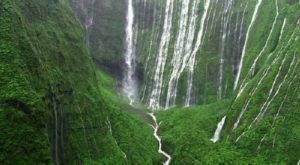 Nestled in the heart of Kauai’s lush, verdant Hanapepe Valley, you will find a series of stunning waterfalls you may not even know exist. 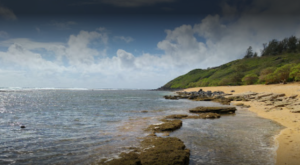 Though most people will never see them in person, they top our travel wish list this year. 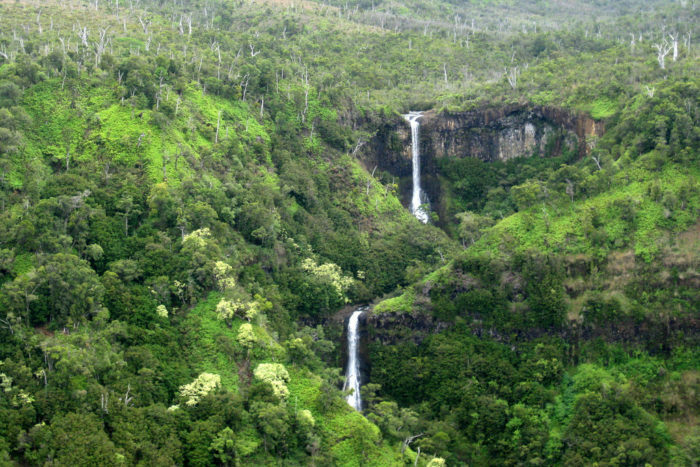 Kahili Falls, sometimes referred to as Five Sisters Falls, might just be one of the most picturesque spots in Hawaii. A series of, you guessed it, five gorgeous waterfalls, we seriously can't get enough of this dreamy destination. 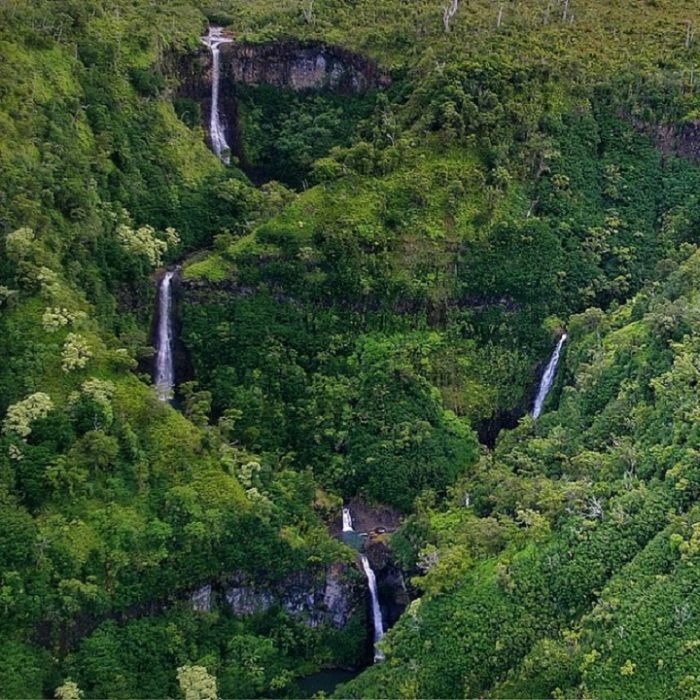 Due to the remote location of these stunning cascades, they are most commonly viewed and photographed from the sky on helicopter tours of the island. It truly doesn’t get much more impressive than this. 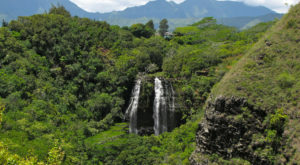 The top of the 5,100-foot mountain that feeds these waterfalls — Mount Waialeale — is thought to be one of the wettest spots in the world, with an average of 460 inches of rainfall each year, which creates massive flows and the lush, emerald green mountains we associated with the island of Kauai. 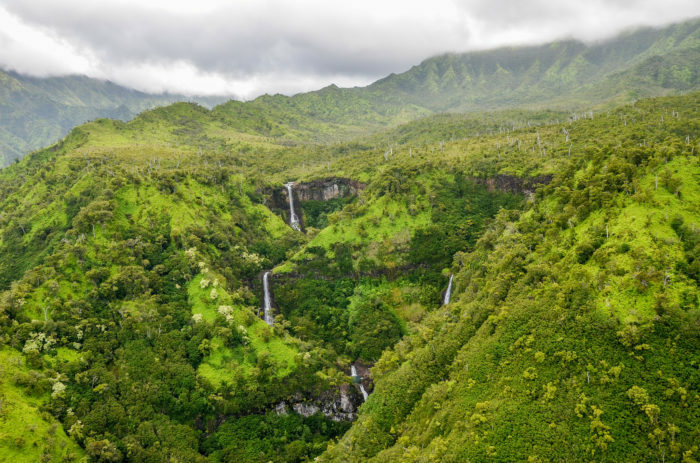 These stunning falls prove that nowhere will you find more magnificent waterfalls that the Garden Isle, and if you can splurge on a helicopter tour of Hawaii at any point in your life, you absolutely must make sure Five Sisters Falls is on your itinerary. 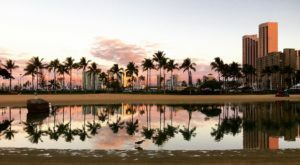 So, tell us — what Hawaii destinations top your travel wishlist today? 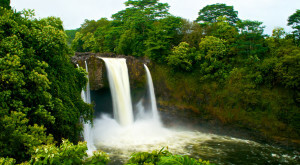 Perhaps Kauai’s gorgeous Wailua Falls? 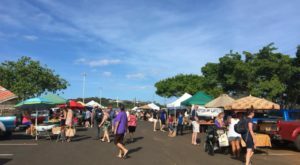 Share your top bucket list destinations with us in the comments below, and as you check said destinations off your list, please share your photographs with us in our Hawaii Nature Lovers Facebook group.